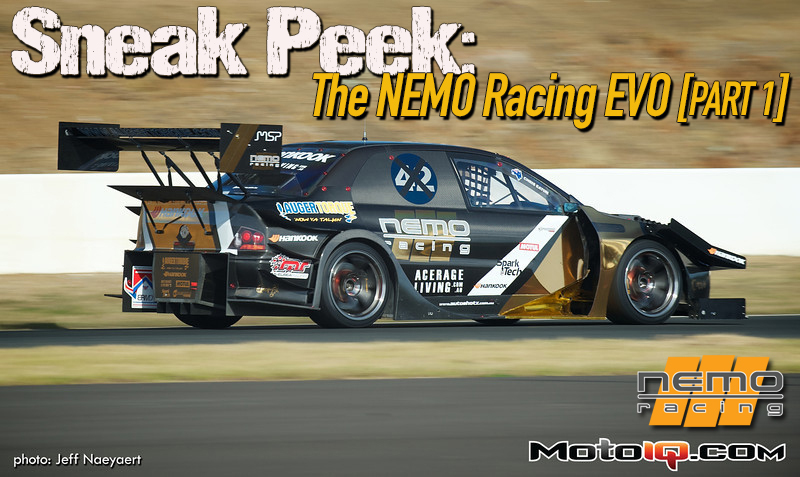 Unless you've been living under a Time Attack rock, there's no doubt you've heard of the amazing NEMO Racing EVO. At the recent 2012 World Time Attack Challenge in Sydney, Australia, the NEMO EVO piloted by Aussie V8 Supercars driver Warren Luff, did it's best lap time of 1:25.020 which effectively destroyed the CyberEVO's record lap time of 1:28.851. That's 3.831 seconds faster than what was previously the fastest Time Attack car in the world. After the jump I break down exactly why this beautifully constructed EVO is the fastest Time Attack car in the world. Queensland, Australia based Entrepreneur Chris Eaton was no stranger to motorsports having raced Porsches for five years. But when his mates returned to Queensland back in May 2010 from just attending the World Time Attack Challenge in Sydney, they were raving about how amazing the event was. Chris and his mates already enjoyed being a part of the local Queensland Time Attack scene so they determined that it was mandatory for them to be a part of the big WTAC show. Since several of his friends already tracked EVOs, Chris was already familiar with the EVO's abilities. He put a couple calls in to locate an EVO in Japan. 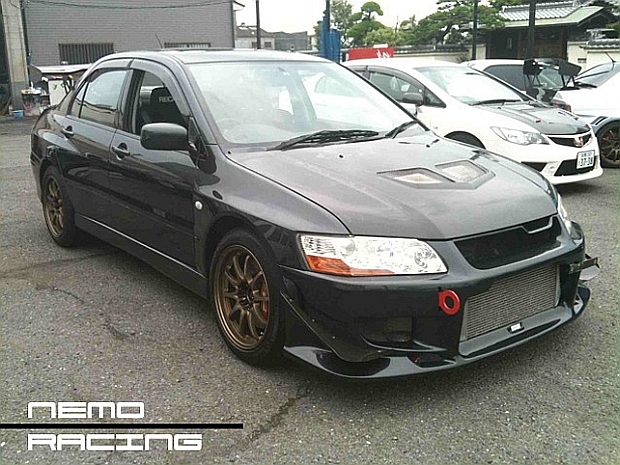 Within a couple weeks, his importer buddy located an EVO 7 down in Osaka. The NEMO EVO as purchased from Japan back in 2010 had a Tomei 2.2L engine, Greddy T-67 25G turbo upgrade, Tomei 270° Pro Cams, HKS Type R intercooler, Sard fuel rail and 1000cc injectors, Apexi N1 Dampers with Swift springs, C-West front bumper, HKS bonnet (hood), Voltex GT-Wing, and HKS V-Pro ECU. Only seven days after arriving in Australia before the Evolutionoz.net nationals at Lakside Park, the carpets were ripped out, a roll bar installed, and with a quick retune on local BP 98 octane fuel, it made a healthy 440whp. With the addition of some Michelin slicks, Chris and his mates ripped her around Lakeside Park and had a blast before she was to begin the two year journey to became the NEMO EVO she is today. Chris was introduced to Tony Porter of Tony Porter Fabrications and Nathan Leech (“G”) of Nine West Engineering. Tony was the lead fabricator at Stone Brothers Racing and Nathan was an engineer there as well. Together they are responsible for building some amazing cars in Australia, but one standout is the rebuilding of Eric Bana's “Beast”. Tony and G are responsible for the suspension design, engineering, and fabrication of almost the entire car. 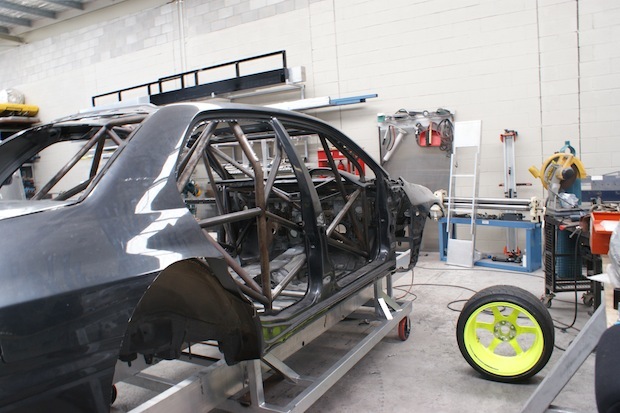 In the beginning, the car was bolted to a table and the cage was fabricated based on an engineered design. 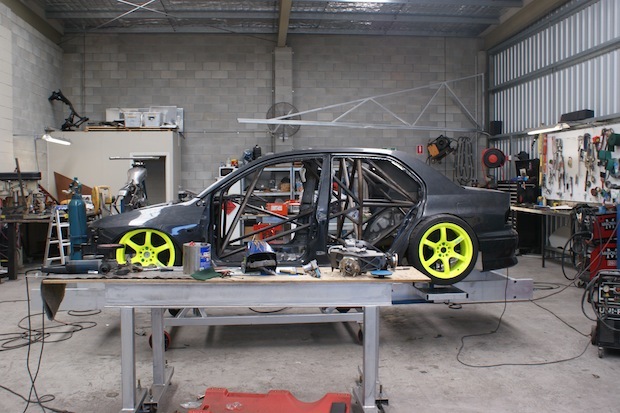 The cage was designed to be more extensive than any other Time Attack car currently in competition. Without rules, I bet it was like Aussie V8 Supercar engineer and fabricators gone wild. Notice the roof panel is cut out and the rear quarter panel is also extensively cut at this point. Tubes, tubes, and more tubes. NEMO is the antithesis of the Japanese tuner ideology that a race car “should have some flex” in it. The front section of the factory floor pan is intact. 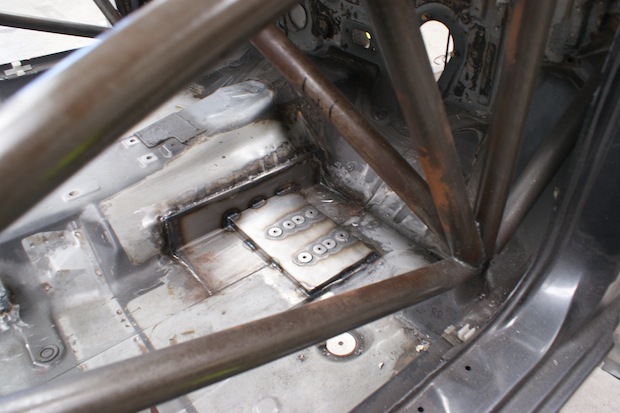 The sheet metal pieces with the bungs on the floor is the where the pedal box bolts to. Triangulation is the name of the game with the extensive cage. Look at that fender gap. Stance Nation unite!